We have had one of those really great days when I can't stop praising Jesus for this life. The girls are on holiday from school (thank goodness because almost all of them have had the chicken pox!). Today I managed to clip all of their 140 fingernails and 140 toenails, file them and paint them. On a quick trip to the pharmacy I found surgical gloves almost small enough to fit my child-sized hands. During nap time I got to sneak in a long, quiet run. Chocolate chip cookies are in the oven. I feel so full and so very blessed. But as I sit down, content, something is weighs heavy on my heart. Something that I have been milling over for some time, unwilling to write about it because my words seem too inadequate to describe the ache I feel. However, I know that this is urgent. An emergency. And as adequate as my words may be, maybe I should at least try. It started a few months ago when my great friends Mike and Suzanne were here to adopt their daughter. In finding out she had HIV, they were obviously broken. Mike made a statement that stirred something within me. He said, "I guess you know that children are out there suffering. You know that children are sick, this sick. But it is different when it is your child. It's just different." And it is. I don't mean this blog to criticize you in any way, Mike, because what you said was true for me too. It is different when it is my child. I spend countless nights awake with dying, or at least critically sick, children. I love them and I cuddle them. I sponge bath them and give them their medicine and wipe up their vomit. I hold them and pray over them and tell them how special they are and how Jesus loves them. My heart really does hurt for them. But it doesn't hurt the way it hurts when I think one of my own children is close to death. It doesn't hurt the way it does when Sumini's fever just won't go down or when Patricia is up all night coughing with her third case of pneumonia in three months. It doesn't hurt the way it does when Margaret's teeth run into Agnes's eyebrow and I can see her bone, and then watch in terror as the doctor stitches it up WITHOUT anesthetic. Somehow, when it is my children, there is a bit more urgency, a bit more panic. There is a bit more frustration at the lack of medical care we can receive here and a bit more google searching of what to do. I am not saying that I am proud of this. I am just letting you know that it isn't just you I have held several children as they died of inadequate medical care. It was horrible and I grieve and cried, but I promise you that I wasn't as devastated as I would have been had it been one of my daughters. Its ugly, but its true. Its just different when its your child who's suffering. But should it be? This is what I have been struggling with. I believe that this is a normal human reaction. I also believe it is WRONG. I believe that each human on the planet is God's child, perfectly made and beloved and cherished by Him. I believe that His heart hurts like mine does, even more than mine does, when my baby is hurting for EACH and every one of the hurting, dying, starving, crying children in our world at this moment. So I HAVE to believe that if my heart was truly seeking to be aligned with the heart of God, that I would have to hurt for each of these children as well. But sometimes, I forget. Sometimes I'm busy. Sometimes hurting for my very own children just feels like enough. I believe that the world says that this is ok. And I believe it is wrong. And this keeps me up at night. Angelina is seven years old and barely weighs 15 pounds. You remember that picture that was made popular in the 1980's during the famine in Ethiopia of that little girl (who looked like a bag of bones) curled up next to a vulture? That girl doesn't look nearly as sick as Angelina. Her mother has not had any food to give her in over four months. When Angelina musters enough energy to let out a cry of hunger (she is far to weak to walk or even hold her head up on her own), her mother gives her some locally brewed alcohol to keep her quiet. For four months, keeping her a little drunk has actually probably been what is keeping her alive. The dirt floor where she has been laying her whole life accumulating bedsores is covered in waste, animal and human. Jiggers burrow deep into her little feet causing them to crack and bleed. She is naked, filthy, and cold. It is far worse than appalling. I bet right now at this moment your heart is sad for her. Is it as sad as it would be if Angelina were your daughter? Angelina is God's daughter. His heart aches for this perfect, wonderfully made child of His. Her circumstances do not surprise Him, but I have no doubt that they grieve Him tremendously. And it's not just children, because we are all children in His eyes. Grace is maybe 60 years old but looks to be pushing 100. She can't weigh more than 85 pounds. Grace is a mother to six children, but 4 have died of AIDS and the other two have deserted her for a better life. She lives in a 4 by 4 foot room that is pitch black, but she doesn't mind; in addition to being to weak to walk, Grace is blind. She NEVER has any visitors. At night her bones ache against the hard dirt floor and her feeble body shivers with cold. A cough racks her body and her stomach rumbles in hunger making sleep impossible. Its sad, huh? How sad though? Sad enough that we want to do sometime about it? Sad enough that we will remember Grace tonight as we snuggle down into our beds or next month as we pay the bills? Maybe. But maybe not. Because it hurts, but it doesn't hurt that much. It doesn't hurt the way it would if Grace was your grandmother all alone there in the dark. It does for God. Because Grace is His. As I snuggle both these sweet girls, as I kiss their cheeks, as I spoon Pediasure into Angelina's little mouth or watch Grace rejoice over the gift of a scraggly old blanket, I allow the tears to fall. The tears that hurt for these people as if they were my family. Because they are my family. And it SHOULD hurt. It shouldn't be different. I desire for it to never again be different. We are the body of Christ. But do we know what that means? Do we long for our brothers and sisters to be comfortable and fed and well? Do we long for it enough that we are uncomfortable under our blankets at night or eating our pancakes in the morning? Do we feel the hurt that God feels as He watches the body of Christ sit back and allow these precious children of his to perish? Maybe sometimes. But sometimes, we are too busy, or we forget, or hurting for our own children is enough. We are the body of Christ. We need to hurt. We need to react. Their needs to be the same urgency and panic and frustration and desperation as if these were our own children. They are God's children. Thank you for Angelina. Thank you for Grace. Thank you for creating them perfectly in your image, your precious, beloved children. Thank you for your beautiful plan for their lives and thank you for bringing them into mine. Thank you that they are YOURS. Help me to hurt. Not just a little, but the way you hurt when your children are overlooked and perishing. me to never be too busy or too comfortable to remember the people who suffer. Help me to never stop desiring to do something about it. Lord help us to remember that as the body of Christ, this is our responsibility. Thank you for loving us, even when we forget. I never, never want to forget again. Thank you, Katie, for your heart. Let us all be encouraged to do something rather than being overwhelmed that we cannot do enough. I think we will all be surprised with how God honors our efforts, even though they seem small to us. He is still teaching the world through a widow's coins and David's pebble. Let us all give and do something. Please know Katie, that I'm praying for you, I'm praying for Grace and Angelina, and I'm praying for your girls. It is so true, that we are children of God and we all have the same Father. Therefore, we are all family in Christ and we need to feel that same sorrow for those who are lost as we do for each other. I love you lots and you're in my thoughts and prayers this day! How interesting that you posted this today. Last night I was with a group of people, and someone mentioned lightly "hungry children in Africa." It broke my heart to hear someone speak so callously about God's precious children. I began to picture in my head a "hungry African boy" and haven't been able to get "this boy" out of my mind today. I am finding out in my walk with Him, to take steps of obedience when He lays something on my heart, then He will continue to provide even more through me to be His hands here on earth. May God show me His will for my life in helping His children! This post made me uncomfortable. I didn't like it. And I am thankful. Katie, my heart is far too selfish to ever let go of my life in the way that you have... but God loves to work miracles, even in stony hearts like mine. I doubt you have time, but if you ever think of this comment again, please pray that God would turn the life of my family upside-down, even to the ends of the earth... that He would ruin our lives so we could find His. I don't know how else to get there. I love you & your example, & you don't even know me! Thank you Katie I do hurt and the longer I hurt the more I hurt. God is demanding me to do. Thank you for this post. I am one day closer to letting the junk of the world go and do what I need to do. Wow, Katie. Once again, you have started writing and let Jesus use your words to impact my life. Thank you! Thank you for allowing God to use you in such an incredible way. You are blessing those in Uganda and around the world. God has used you to touch my heart and brake me of myself. He has used you to show me that there is life right here where he has called me to be. In that I rejoice! You have also opened my eyes up to the orphans of the world. My husband and I just applied to Generations adoption agency to adopt from Uganda. We are excited to see how God is going to lead us on this journey. Thank you for showing me what life in Christ truly is. I pray and think of you often. Thank you for this needed reminder. ouch. thanks for being willing to hurt us with the things that SHOULD cause pain in our hearts. I want to tell you that my heart is breaking with yours...but, of course, it's not as it should be. Because I'm not there and I'm comfortable and safe and my babies are healthy. Those are the reasons why you need to keep reminding us of Truth - because it's often the good things in our life that cause us to believe lies. Thank you for this...I have no words in me today to express the feelings that have erupted in my soul because of this post....all I can say right now...is God show me and help me see what you want from me through this post. This is an extremely convicting post. My eyes are slowly opening to the atrocities of this world outside my little sphere of comfort and security. I pray that God continues to open my eyes to how I can help and not let Satan paralyze me with feeling overwhelmed, unimportant, or unsure of what to do, thus creating inactivity. Your life is an example to us all of what it means to "die to self" and to remember that "my life is not my own." Thank you for speaking up for the poor of this world and for DOING something about it. Praying for you and thanking God for servants like you who live out their faith, not just talk about it. Amen....humbling and true....if we long to have the heart of God...to truly be like Him...then we will love all as He loves all....Lord, give us your heart...give us your love for your people that we can be your hands and feet!!! Thank YOU for being His hands and feet where you are, Katie!!! May His Spirit strengthen you and those who are being served by you! May His grace overflow, bringing hope, joy, and rest! May He provide abundantly, bringing medicine or giving knowledge as needed, providing food, and water, and shelter! May His comfort be KNOWN! Do it, Lord, do it!!!! In Jesus name!!! Since a friend introduced me to your blog about 3 months ago, I haven't been the same. I pray for your ministry, for your girls and for those you care for. I'm thankful for your blog entries. They tear me up but I love the honesty and how God uses them to move me to action. I pray that all 140 toes and fingers will know they are loved unconditionally today. That you will be able to carry your burden and extend the love of the Father with wisdom and perfecion. I pray that when you rest, you are truly restign so that you can be all that you need to be for your children. so humbled and loving you todat. So so sad so heartrending. Can we send blankets to your babies? Wow, well said and thank you for giving me more to pray about and more conviction to teach my children to love ALL of God's children tangibly and in prayer. You are an amazing gift from God and He is doing mighty things through you. Thank you for sharing. Thank you!! Your words have moved me. It makes me want to sell or give away everything and move down there with you to help bring comfort to these people. Here I was having my own pity party because times are tough, but I have no right!! Thank you so much for this post. Keep them coming. Wow! What a challenging post Katie. I recently found your blog from a friend in NC and googled you. As my wife and I read, we found ourselves in utter amazement. You are so wise with wisdom beyond your youth. Not only do we love your blog, I have found my 11 year old daughter periodically checking your blog for updates. She is amazed at your life and the ways God is using you. Last week I emailed a friend who was visiting her son and daughter-in-law in Jinga to tell them that they should look you up. When she replied she couldn't believe that God had already put you guys together. What a God of details we serve!! We have be praying for Angelina and will add your girls to the list. Thank you for the challenge today and God Bless you! I now know thanks to your blog that there are MANY more people that need help and prayer. Katie - what do I say after a post like that? One life at a time - one step at time - one heart changed for eternity - each of us leading the way right to Him! May we all be wrecked and unable to live comfortably knowing millions suffer needlessly every single day and go without for months! May we choose to see and do! I play Give me Your eyes over and over again on days I don't want to forget what I have seen and know! My prayers remain with you always Katie! I love you and trust God to supply the grace more abundantly each day as you walk closer to Him! Your obedience is inspiring! This is Melanie....in Franklin, TN. I have never commented on your blog before, but your words this evening resonate with me. They shout what I have been feeling in my own heart. I want to love others the way I love my own. Love you to pieces! Thanks for sharing so boldly a real word from the Lord. Amen. I love it that you always share what's on your heart. Thank you for that. You always have a message that stabs me in my hearts and makes me think. God bless you and all those precious little ones of yours. You are always in my prayers. Oh my gosh, don't you want this to be mandatory reading for Americans. This is IT!!! I thank you too for this post. I sit here convicted and praying and wondering what God would have me and my family DO. Not just feel, but do. But at the same time I am wondering how He would have us feel. It's so confusing. Of course it's horrible and devastating. And of course we should be as grieved as if these people were are own family because God loves them. But if I grieved over everyone like that, I don't know how I would ever have time to be joyful. I'm not sure how to mix those two emotions when there is so much sadness in the world. Maybe you could write a post explaining how you do it? Love you, Katie! Thanks for being so real. Thank you for being the voice of eternity and such a fragrant offering of Heaven's love. thank you for the example of boldness. Katie, you are mighty like Jeremiah! Thank you Katie as your post pressed in upon my flesh once again. This one makes me think of the verse which is a corrective to stealing...from memory, here's a paraphrase: let him who stole, steal no longer, but rather let him labor, doing that which is good SO THAT he may have to give to him in need. Tis my experience and observation that many labor for lots of reasons, but "so that" we can give to those in need isn't at the top of the list, if on the list at all. Jesus came not to be served, but to serve...how worthy He is of imitation. Those who follow Him/imitate Him in faith worked out in practice are the One's that have the great privilege of enjoying Him. I don't think you are alone in wrestling with having true compassion for everybody. Without detracting from what I grasped as the heart of your post, I would add that we're not God and He had made us finite as one of the many reminders of that...we can't hurt for everybody in the world with the same intensity. Such a weight does not crush God, but it would crush us...I liked your point about serving neighbors...if I "get" your post, we should strive to be better at loving and serving those in the "neighborhood" God has placed us in, by God's grace and for His glory and for the increased joy of His people. Your heart is amazing. You challenge me. You remind me of things I too quickly forget in this "comfy" American life. Praying for you today. Praying for not only your girls but all of the orphans in Uganda. All the Angelinas and Graces. My heart breaks. I don't know how I found your blog but am thankful to God that I did. My heart echoes yours. Thank you. 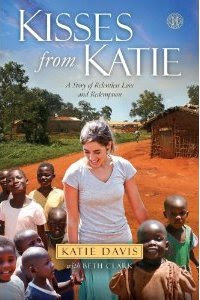 Katie, I wait anxiously to read each and every word you send to us! And this word-wow! Like so many posted, I am without words to express my heart. Thank you for chosing to be there where God wants you. I am praying that my husband and I can find God's will for us in helping "the least of these". Keep it up! Hi Katie! This is the weirdest thing... I was reading a blog of a friend, and from there kept linking to other people's blogs. I came upon your and was totally drawn in. The more I read, I realized you are in the same place of a friend of mine and her husband! In fact, after going back to read some of your older posts, I came to the one written just yesterday in which you talked about Angelina. Angelina?!? My friend's mother had sent out an email about her! Too crazy and fun that you and my friend MUST know each other! NO WAY! So... Do you know Tamara & Jeremy? Aren't they the greatest? I look forward to continuing to read your blog... I have laughed and cried and been utterly convicted through your words from the Lord's work in your life. May the Lord continue to give you strength, power, and grace to press on. May we never forget, may the Holy Spirit prod us and prompt us to remember the least of these....to offer drink and feed the hungry, to clothe those who are naked, to pour out all of us, until there is only HIM. I dont know you, but you have touched my heart deeply with your words tonight. I read this with my eyes so full of tears. "I love them and I cuddle them. I sponge bath them and give them their medicine and wipe up their vomit. I hold them and pray over them and tell them how special they are and how Jesus loves them." This part touched me so much. I know how that is. This states how hard it is, to love them as to live all that with them and tell them Jesus loves them. Who would say that to them if you weren't there? Tonigh I'll let you know this and encourage you to keep up with His good work. You're a blessing. I'll be reading you quite often. Thanks for sharing and for such a heart. I'll do more. I promise. Wow. Again, you have touched us in ways we can't imagine. Thank you so much. You are ministering to them, but you are also ministering and teaching so many readers. God bless you! I long to love HIS love and hurt like HE hurts and desire to share and go as HE would. All I can say is AMEN in full agreement- My prayers stay with you and I long to be on mission one day turning away worldly dreams for a servant's life living only for the King! As I was reading your blog i was sitting under my electric blanket and i said "that is Disgusting!" You have inspired me and my blanket is on the Floor. Shared your blog on twitter last night and had several people thank me. This was a hard read, but a must read. Truth is not always easy. Praying for you and those precious kiddos often. In fact, there are more people than you could imagine here in good ole Franklin, TN praying for you andy our ministry. May His blessings abound. Your heart is amazing! Thank you for opening our eyes, for showing us the love of Christ in ways that are painful but needed. Praying for you and for those that you minister to. Funny, I have been thinking about similar things lately. I want to ache the way Jesus did looking at his people who are broken and downcast. But, I don't want to just wrap them in a warm blanket; I want to ache just as much or more for their salvation. I want them to be warm, and I want them to know the fullness of salvation in Jesus Christ. I want them to have hope that there is more than this life. I want to ache for my neighbor across the hall who lives in a nice apartment and has food and a roof over his head but is still headed towards a life without Christ, is still headed towards the agony of hell. I want to ache and hurt that he will be seperated from God for eternity. I hear you sweet Katie; I am praying the Lord will bring you joy in the suffering. Thank you. I don't know how else to respond right now... so much to think about and so much to absorb. Thank you for sharing your words and your story. Asking God to show me now how I need to change so I can do more. Yes, we all choose every day to NOT care enough about those around us to get out of our own self centeredness and do something for them - whatever that may be. We are called to care for each other as the body of Christ, but I often do not act on a conviction I have due to what I see as time restraints or that it would be hard to put aside what I need to do in my own family. It is wrong. Thank you for the reminder that we are to "sell your possessions to give to the needy" or "weep with those who weep". Too often, I think I am doing enough, but I am not. I never want to forget again either Katie! Thanks, Katie, for putting it out there. We so often see the commands of Jesus to love, to lay down our lives, to take up our cross, to sell all, and know we should revere them, but do not really take them seriously. They become iconic phrases, because they are clearly unreasonable to really expect to live by, aren't they? I believe they are exactly what He meant...and if you would find your life, you have to lose it. Why do we think we will understand God, who is infinite, omniscient, etc to the nth degree, and so feel the right to either outright ignore, or at least modify His words? We know better? If you don't read ol' Oswald...I think you will find a resonance that only comes from really laying your life down. Kierkegaard said something along the lines that "the bible is clear, but we Christians are sneaky and schemers. We act like we didn't hear, or understand, and so we feel safe in not obeying. WE are sure, if we obey the words of Jesus, it will ruin our lives!" One comment said they thought you were saying that we should each try to do better. I think you, and your Lord, were being a little more radical than trying to do better....We are not God, but why do we think that excuses us form giving our Utmost for His Highest? Thank you, Katie. Thank you. I am constantly reading your words, so clearly from a heart full of God's grace, and I am always left challenged, reassured, amazed. But today I am utterly convicted. Thank you Katie. Thank you for the courage to be honest, to explore the feelings we have been taught are "right," but should always question. Thank you and many many prayers are coming your way from South Dakota! Katie - Your blog was passed along through a newsletter from a man who runs a basketball academy where my son practices. God has gifted you in more ways than you know- not only do you have the strength to love and care for these children, so far away from everything comfortable and convenient to you, but you have the gift of words and the ability to touch the lives of people whom you have never met and may never meet. Myself included. We will be praying for you and all your children this Thanksgiving and we sit down at our table in comfort. What blessings we take for granted...May God continue to bless you and give you the strength you need to carry the burdens of all you care for. I too hurt for others. Maybe not the way I "should" hurt. I'm so caught up in my petty little life, my problems, my pain... I am so selfish sometimes. Thank you for the reality check. My prayers are so selfish... know that i'm directing my prayers towards you this moment, right now I pray for you, for these children and families. Dear God, please bring comfort and peace to Katie, to her children, to your children. Please take care of them, let them feel your love and comfort this very moment in time... make yourself known to them dear God! Thank you for this reminder. I have just recently stumbled upon your blog by a friend who recently found it. As I read your posts, I am broken by the suffering, and yet encouraged by your faith. As I was looking at your pictures God really spoke to me and asked if I would go anywhere He sent me, I answered "Yes". Thank you for being a part of my answering God's call. So proud to have a sister-in-Christ like you that is changing the world! So much to absorb. Once our eyes have been opened, we can't be silent. You are onto the right track here. This same feeling is running RAMPANT in cyberspace as God calls more and more of His children to be BROKEN for the things that break His own heart. hi Katie - writing from San Jose, CA. After I gave birth to my son 5 years ago, my heart broke for orphans...i couldn't stand that there are children without parents, so we answered the call & adopted a 2 year old from a Siberian Orphanage. I am learning that doing the right thing is not always the most convenient or easy road. My heart continues to break for orphans & i'm often overwhelmed by the need in the world...it's too much at times...i can barely handle at times loving this child who has no biological connection to us...i enjoyed reading your post, i agree with you & i struggle with those questions myself. I needed to read this tonight. Because tonight I was worried about my foster son's court date(in 4 days), abused women in Rwanda, the cavities in my daughter's little mouth, and the overall state of my family life. And I was overwhelmed. Your post has left me realizing that communicating with the Father is how we know Him, and how He is able to live in us and allow us to love. To react to each situation that He has given us in HIS Way. And right now my 4 year old, as I am writing this, asked, "Mom, why hasn't God been talking to me lately?" So we immediately prayed, that we would know Jesus and that He would talk to us and that we would be good listeners. BEAUTY. And now we will pray for you and your girls and for Grace and Angelina as well. bless you for your beautiful words inspired by a heart of true compassion and love. I have read this blogpost several times allowing it to penetrate my heart and use as a call to action. Thank you, thank you, thank you...for posting this. thank you, katie. wow. God is using you in extraordinary ways. you words are powerful. your faith is inspiring. no words here can express how absolutely amazed we are by you. your heart is so full of the Father and His love. we pray for you and your children daily. you challenge us to live differently and open our eyes. thank you. we would love to help more. can we mail you and your family items you need? Katie, you are an amazing human being.I'm left speechless with your post. It is very true though.We get so caught up in our day to day that we loose sight of what's important.It's not right that there are 147 million orphans out there. It's not right that these children are perishing. As Christians we should all be up at night thinking about this. When you know the truth you have to live it out. You my dear are one that lives out the truth, we should all be more like you. You are in my prayers. I live down the street from Andy and Andrea Stover. They are wonderful neighbors. I learned about your work from Andrea and have begun reading your blogs. What a beautiful entry (Nov. 20th). I needed to read that and appreciate your thoughts. Thank you for reminding me that I need to have the love of Jesus Christ for everyone, just like He does. Have a wonderful day! May the Lord continue to bless and keep you in His care. Beautiful. Thank you for posting that. Hey Katie! I'm a new reader who just found your blog. I can't tell you what an encouragment and challenge you are. Thank you! Thank you for opening my eyes. I've been spiritually struggling with just what God wants for my life and seeing what He is doing in yours has given me a sense of overwhelming peace. God is alive and working in each one of us in this life and I hope I can do my Heavenly Father proud. Thank you for the beautiful and humbling reminder. Lately, I have been feeling so overwhelmed by the need and the thought that I, as just one person cannot possibly help them all but you have once again pointed me back to the truth. I may not be able to save them or fix all the problems in the world but I can love them like Jesus loves them and can pray for them and I can do what I can in the time that I can to help those that I can. It is so true though that my heart aches for my own children's pain so much more than for the pain of others and I agree with you that although that is certainly socially accepted and "normal", it isn't how God loves or how He wants us to love. Thank you for your honesty. My prayers go with you, your girls, Angelina, Grace, and all the people whose lives you will be touching by your deeds and by your words in the coming months, both there and here. Katie..I just typed a very long comment...then cut it an used it for my own blog post...but THANK YOU FOR THE EXHORTATION TO STOP BEING SO SELF_CENTERED AND LOVE SOMEONE, IN JESUS NAME!! My children have been wondering about 4 year old David. They have been praying for him and keep asking me if I emailed you yet! Thanks and Blessings to You! Katie, you are absolutely beautiful in every way. It is incredible how soft and open your heart is after seeing so much poverty. I love that you still associate yourself with their suffering and challenge all your followers to do the same. I just moved to Uganda last week and reading your blog gives me so much hope for what God can do if I will just choose to love one child at a time. Jesus, tear this selfishness out of me. Thank you, Katie. Thank you for all of the good you are doing for God's children in Uganda. Thank you for sharing your life with us. Thank you for making us stop and consider how we can be better people, better Christians. You are an inspiration. God bless you! Keep up your amazing work! Your understanding and compassion far surpasses your years. You inspire me! I am a social worker for foster teens in Los Angeles. I go out to find their families & do everything I can to return them. I hurt for my kids, but not enough. I agree with you that it is not enough and is not God's will to care only about our own little plot in life. He wants us to open our hearts and minds and reach. To love more and live bigger. Please keep sharing your thoughts and journey with us. I'm sending you and your girls love and prayers for continued to safety and health and happiness together. As I walk from earth into eternity"
Katie, it's amazing that you wrote these very words- because God has been dealing with me on my heart on imaging forth Jesus; how to do this in a tangible action, and why I don't act more often to perfect strangers who are also created in God's image and part of the body of Christ. We can only have a better understanding of how God love and cares for each of his children by having children of our own and coming to that realization that that is how we shoulc care for all of the body of Christ. you are a blessing and an encouragement.. God has used put the words on paper in how he has been changing my heart! thank you or your obedience!!!! Katie- I praise the Lord for the words He gives you to write. I have been having trouble sleeping because of the burden on my heart about so many needs (especially children) and you're right...it should keep me up at night. It should stay on my heart. I think it's so much easier to push it to the side and try not to feel that way. Raw emotions are so hard for us...making us realize that we are not in control. It's overwhelming not to be able to fix everything for everyone and so we try to occupy ourselves with other things that we can control. It should stay on our hearts and it should continue to overwhelm us. Thank you for the reminder that it's not a bad thing...to stay utterly broken for His hurting children. Thank you also for your story of obedience with Grace. What a testament to God and what can happen if we first of all listen, and secondly obey. Thank you for being so real with your own struggles when it comes to obedience. I am so thankful for your example and so thankful that I get to share in your ministry, hear your stories, and be a part of your life in some small way. You've blessed my life in so many ways. Thank you for being obedient to the Lord and transparent in your journey. Is there an address that we can send a care package to for you? I deleted my comments on the above verse. Instead I will let the truth of it speak for itself. I have posted your story at my blog. I pray that it will garner more support for your ministry there in Uganda. Katie, I listened to your interview this morning on my way to work (I am a nurse in Chicago, live in Indiana). I was deeply touched by your story of your life and your calling from God. Even though you may not want to hear this...I envy the closeness you seem to have with the Lord....I am still working on my personal relationship. May God continue to bless you..even though you have difficult, heartbreaking times..we need more people like you in this crazy world we live in. I was just introduced to your blog by my friend Krista. She lives in Nairobi with her husband and her son. They moved there from the states a few months ago. Anyways, I live here in Nolensville, Tn and your postings have been a tool that has reminded me of my hearts desire from back when I was a child...as a child I wanted to do just what you are doing. But I didn't make good choices for several years, and now at 29 I feel like I can't do what your doing anymore, that I've lost my chance. And maybe you have some insight, or some truth on my excuses. I am a single mom of a little boy, never married, no prospects. And I am terrified of following my heart because of the possibility of what danger lurks around my child. I was not a fearful person until I had my son. I've gotten better over the years, as he is now 5 yrs old. But my fear still stops me from putting my hearts desires into action. That aside, I had an opinion on your post about caring/grieving for children not our own as if they were our own. I may be wrong but I was thinking, "what if I grieved for every unfortunate soul out there? If my child were sick, I would be strong in the company of my child, but in private I would fall apart. If he were to die, I'd want to climb into the coffin right next to him and go be with Jesus with him, because my life without him is nothing, I feel there is nothing to live for." So with those thoughts in my head about how I would react to my child being ill or dying, and apply that same amount of grief to everyone else on this earth, if we all did that...nothing would get done. No one would work, or eat or sleep. Because I know when someone I love has died, that's exactly how I react. God has given us an ability to move on from our grief and find joy after some time has passed. But if we were to feel that way about everyone, the grief would be unending because someone is always sick and dying. So I feel that it is Gods grace that we don't grieve for other people children like we do our own because we would be a mess 24/7. Instead, I believe we can love those children and pray for them as if they were my own. Do you feel differently? Because I am open to changing my view if someone or God shows me differently. On a side note, your recent posting about the costs of following where God was leading you, leaving the love of your life really stuck a cord in me. I often wonder if the love of my life, the reason it didn't work out is because perhaps God has a different plan, one that I wouldn't necessarily choose for myself, but willing to because its what He wants for me. Anyways, your amazing and inspiring and I would love to meet you one day if your ever visiting home, maybe one day we could meet.